Hope for the hopeless is a quality of a nurse that sums up the job and responsibility of a nurse. It is amazing to note the kind of calm approach that a nurse has when dealing with patients seemingly in hopeless situations. The sick patients, whether they are chronically ill or are having an acute attack of a disease, feel a sense of frustration and hopelessness that is dispelled by a nurse. The nurse is the first person who usually examines a patient or deals closely with a patient and the words spoken by her or the reassurances given by her provides hope for even patients who are in complete despair over their illness. There are several qualities that a nurse needs to have. The nursing profession is a selfless one where the primary aim of the nurse is to help sick people and nurse them to good health. Over the years, the profession has grown and there is a lot of professionalism in the nurses. Since it is part of the medical profession where the nurse has to treat and help patients, there are a lot of qualities that a nurse needs to have. Some of the qualities that a nurse needs to have are listed here. 1. Discipline: The patients look up to the nurse because of the discipline of the nurse. She is a person who is always neatly dressed and is right next to the patient to take care of the needs of the patient. This requires a lot of discipline. All the nurses are taught to be disciplined right from their college days. In fact, in any nursing college, it is normal to see that the nursing students are well behaved and are taught to be disciplined. 2. Patience: The proverb which says “Patience is a virtue” is absolutely true. Most people have no patience. These days, when the world is moving at breakneck speed, patience is not present in the lives of many people. A nurse is extremely patient with patience and with all the people around her. You may have come across one or two bad apples (nurses who are not patient), but by and large, all the nurses who work in hospitals with patients are extremely patient. The amount of patience a nurse displays during the treatment of a patient is simply amazing. 3. Responsibility: The sense of responsibility is keenly noticed in nurses. If you are studying to be a nurse, then you need to shoulder a lot of responsibility. The doctor who treats a patient may not be able to spend a lot of time with the patient. The nurse is the person who spends more time with the patient and may even be the first person to notice signs and symptoms of complications in patients. She also would be the person who usually alerts the doctor to some sudden worsening of symptoms in patients. This even helps to save the lives of patients. So, this sense of responsibility needs to be present in every nurse. 4. Punctuality: Punctuality is something that is taught to nurses right from their early days in college. They are very punctual in all their activities. This helps the profession to grow a lot. The punctuality of nurses helps them to be better workers. It also helps them to take care of their patients to the best of their ability by providing care and medications at the right time for every patient under their care. 5. Commitment and dedication: The commitment and dedication of nurses is impeccable and this is what helps most of them to succeed in their profession. The nurse needs to work hard because of the serious nature of their job. A little bit of relaxation can cause even the death of a patient. They have to be extremely committed and dedicated in their job. These are some of the other important qualities that are expected of a nurse and seen in almost all the nurses. 6. Empathy: The nurse should empathise with the patient. It is commonly misunderstood that nurses feel sad for the patient. Actually this is not true and is not something that should be done. A good nurse will empathize or share the feelings of the patient. Sharing the emotion of the patient lightens the problems of the patient and makes them feel better. This is one of the most important qualities of a good nurse. 7. Communication: A nurse who is non communicative will not be successful in her profession. A nurse plays a pivotal role in the care of a patient. The care given to patients will not be complete if there is lack of communication. The nurse plays an important linking role between the doctor and the patient. So, the nurse should be well versed in verbal and non verbal communication with the patient, patient relatives, doctors and other nursing colleagues. 8. Knowledge: Nurse stereotypes show nurses as people with lack of knowledge and as a person who depends on the doctor for advice and information regarding care of a patient. This is absolutely not true and a good nurse would be a knowledgeable person. A nurse knows about every disease and should constantly update her knowledge about the current medical scenario. The selfless treatment of Ebola patients by nurses in Africa is a case in point. An excellent nurse protects herself and her team from contracting any infection from patients. At the same time, she is able to provide excellent care to make the patients life comfortable. 9. Hand Skills: The hand skills of a nurse is completely different from the knowledge component. 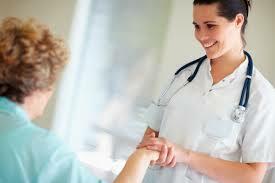 A nurse may be a very knowledgeable person on the various diseases and health problems that a person could face. This is the theoretical knowledge that a nurse has. The hand skills of the nurse is completely different from this. Apart from the knowledge, the nurse must also have adequate skills in taking care of a sick patient. A pediatric nurse must know how to handle and provide care for a sick child. Similarly, a medical surgical nurse must be able to hand any adult patient who is undergoing post surgical or medical treatment. The hand skills will stand the nurse in good stead when she is in the ward, managing a sick patient. Experience of a nurse improves her hand skills. This is the reason for a great demand for experienced nurses. 10. Excellent Quality and Care of patients: The care of patients is the primary role of a nurse. She has to ensure that quality care is provided to the patients. The care of the patients may involve giving them the right medications, providing care that includes their daily needs, feeding them the appropriate diet, monitoring the input and output, providing therapy that may include nebulization, making the patient feel comfortable and safe. Excellence in the care of the patient sets a nurse apart from her peers. These are just a few of the qualities that a nurse needs to exhibit in the course of taking care of a patient. These qualities will stand the nurse in good stead when changing jobs and also when expecting a raise or promotion. 1. Emotional Stability: A nurse needs a great amount of emotional stability. Nursing job is a highly stressful job and a nurse will be constantly challenged. Life and death situations occur on a daily basis. This means that the nurse has to be emotionally equipped to ensure stability in such situations too. So, emotional stability is a important attribute that nurses should have. 2. Empathy: The difference between empathy and sympathy is well known. Sympathy is feeling sorry for the patient. Whereas, empathy is feeling with the patient. The nurse is often a counselor for the patient. The nurse will need to put herself in the shoes of the patient and this is what empathy means. Every nurse should have empathy, especially during counseling patients. 3. Attention to minute details: A small mistake can cost a life. This is why a nurse should be a stickler to protocols. The nurse should ensure that she gives a lot of attention even to the minutest of details. This is very important to ensure that the patient care is excellent and the patient is satisfied. 4. Quick thinking and decision making: The nurse plays a huge role in healthcare of patients. The nurse will find herself in a position where quick thinking and spot decisions are absolutely needed. Any delay in decision making could mean the difference between life and death for the patient. The nurse should have the ability to be a quick thinker who can make split second decisions. 5. Adaptability and flexibility: A nurse must adapt to any situation. She should also be flexible in her approach. Patients are not similar. Each patient will have different needs. Patients also differ in emotional and physical needs. So, the nurse needs to be flexible to meet their needs. also, sudden emergencies could occur that will turn the day upside down in seconds. The nurse needs to be adaptable to such emergencies. So, the qualities of a nurse are not limited to her work, but also depends on what the environment or surrounding situation throws at her. 6. Physically and Mentally strong: The other quality of a nurse is that she needs to be mentally and physically strong. This physical and mental strength is not present in some nurses. this is why they are not able to cope with their work. They face burnout sooner than the others. these nurses will also seek other professions. A capable nurse with excellent nurse attributes will be mentally strong, other than being physically strong to meet any challenges thrown her way.